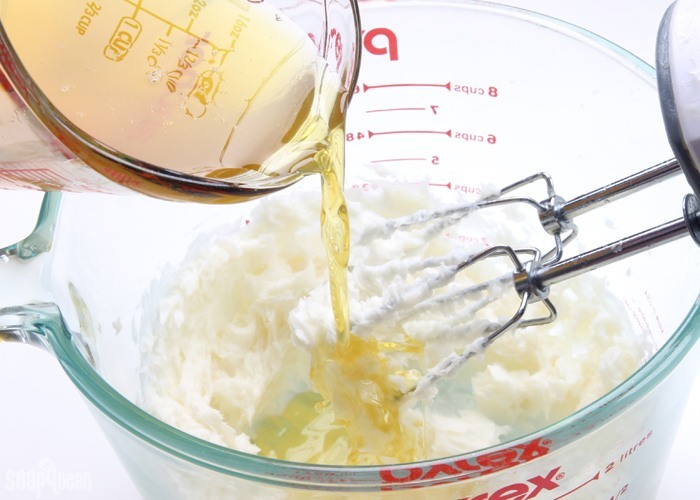 A typical recipe is 70-80% distilled water, 3-5% Stearic Acid, 3-6% Emulsifying Wax, and the rest is oil and butter. Those ingredients are heated and combined with a White Stick Blender. At its core, lotion is fairly simple. However, all the options can complicate the process. There are several emulsifiers and co-emulsifiers to choose from, and you can use alternative liquids in place of distilled water. 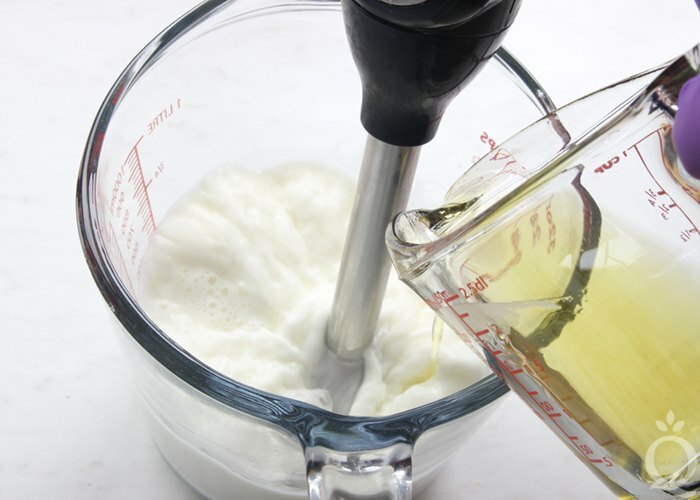 The oils and butters you choose will affect the texture of the recipe. You can also include specialized additives like Glycerin, Honeyquat, and DL-Panthenol. 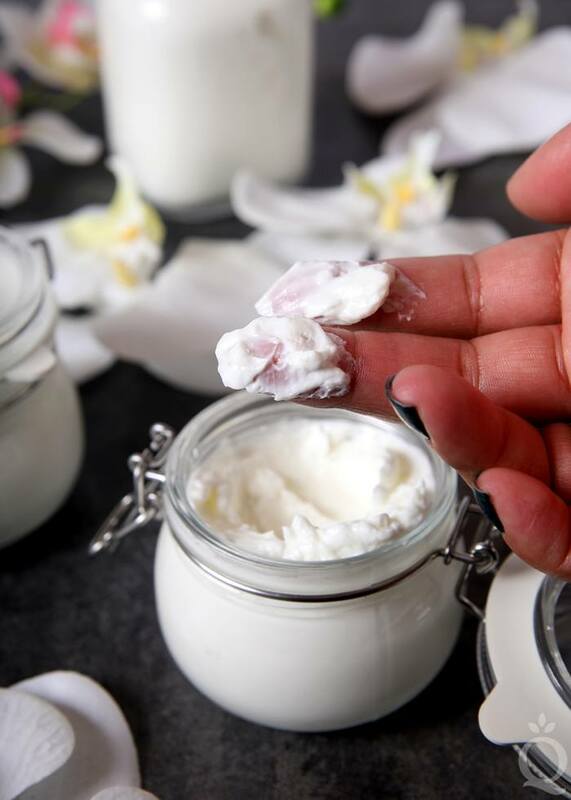 Learn more about formulating lotion recipes in the post How to Create Homemade Lotion Recipes. You’ll need to add a preservative at 0.5-1.5% of the total weight of the lotion. Optiphen and Phenonip are both good options. They help prevent mold and bacteria and extend the shelf life of the lotion. Learn more about preservatives in this post Preservatives Quick Guide. No matter what ingredients you choose for your lotion, the water gives it a lightweight consistency that absorbs quickly into the skin. That makes it great for both the body and face, and it also works for multiple skin types. If your skin is oily, you can add more water and use lightweight oils like Rosehip Seed Oil and Lingonberry Seed Oil. 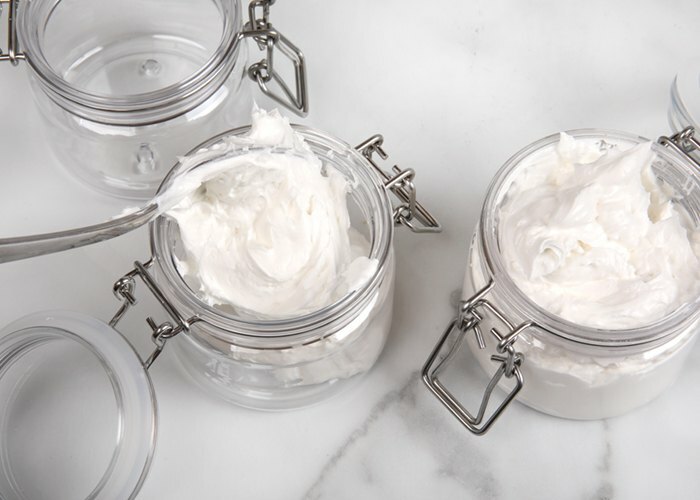 For dry skin, try a moisturizing butter like Shea Butter. 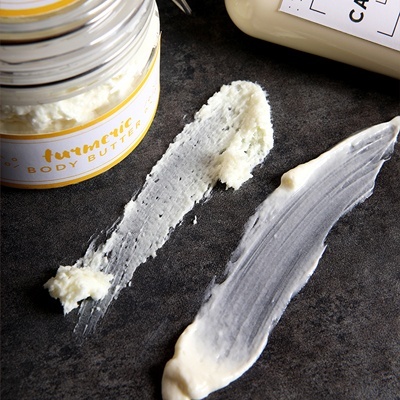 If your skin is very dry or sensitive, body butter is a great option. It couldn’t be simpler to make – just add butter to a bowl and whip until it’s fluffy. You can choose any one you like. For a lighter feeling on the skin, try Avocado Butter or Lavender Butter. More moisturizing options include Shea Butter or Turmeric Shea Butter. You can also use harder butters like Organic Cocoa Butter Wafers, you’ll just need to melt them before whipping. Learn more about butters in this post All About Butters. We like to add a lightweight oil like Avocado Oil, Cucumber Seed Oil, or Argan Oil to the recipe. It softens the butter and helps it glide onto the skin easily. We recommend about 2 ounces per pound to start. If you prefer a more a balm-like texture, you can also add Beeswax. Start with 1 teaspoon of melted beeswax per pound and go from there.